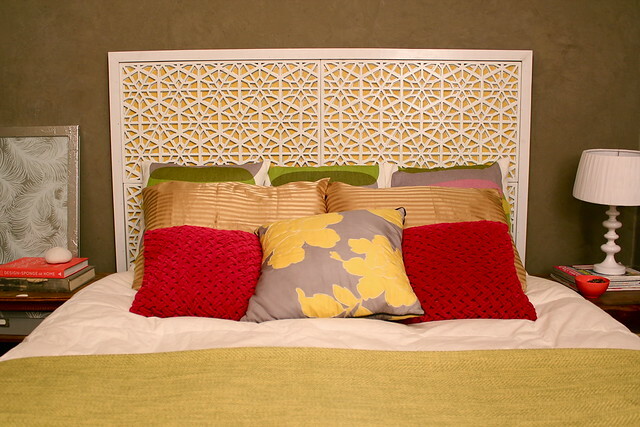 Today I am going to cover one headboard idea we gave during our segment with our local Fox station last week. It’s one my favorites! Here are the quick, easy instructions. 1. 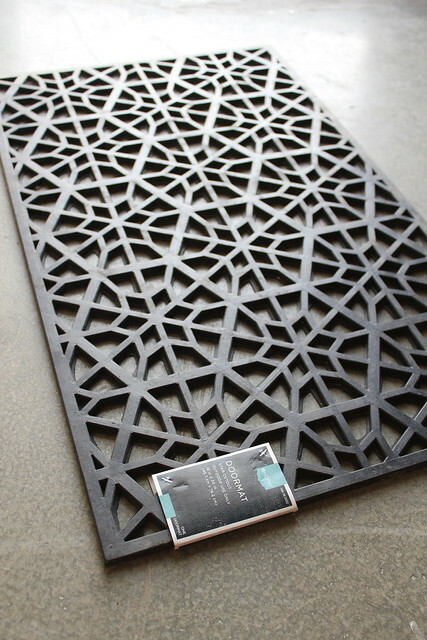 Paint the mats (spray paint works best). 2. 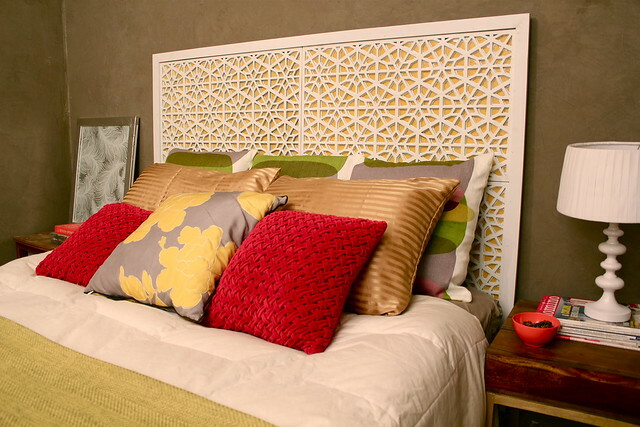 Cut a piece of plywood the size you want your headboard to be. Remember to take the size of the mats into account as well. 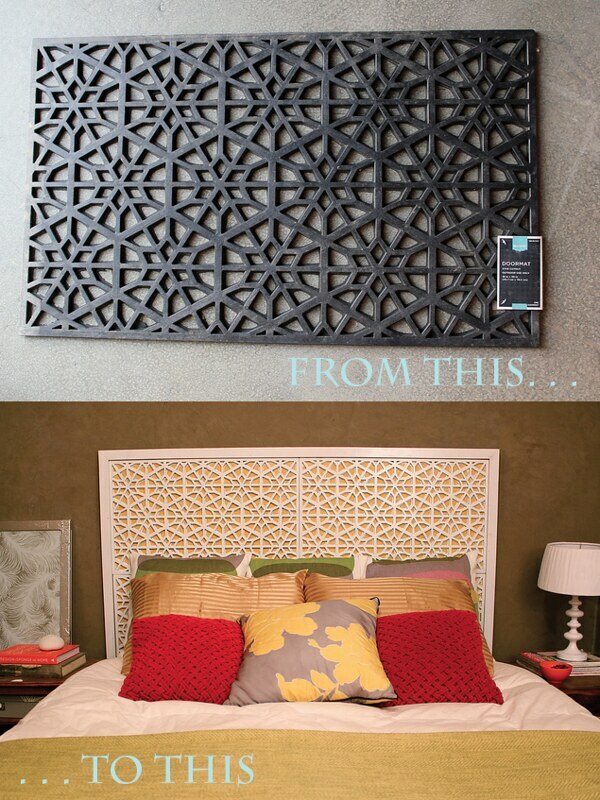 Two mats side by side make the perfect width for a queen size bed. 3. Paint or stain the plywood. 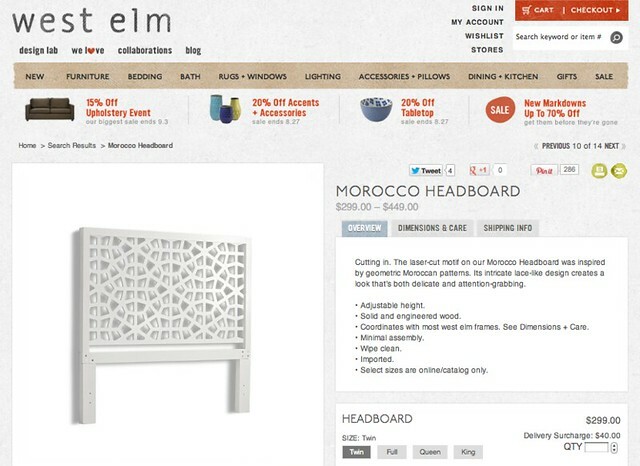 If you want the piece to look more like the West Elm version, paint the plywood the same color as the wall so it looks as if there is no backing. 4. Attach your mats to the plywood. We used a finish nailer. 5. Trim out the piece to finish things off! Our queen size version was less than $100! 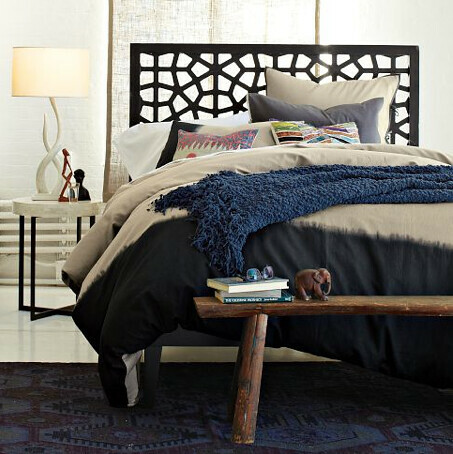 Compare that to the $400 queen size from West Elm and we’ve just saved $300!! !